Trust us; you’ll regret giving this Nuru Gel the slip! Perfect for bodyslide, wet & messy, sploshing and grunge play, the possibilities are endless with this fine quality Nuru Gel! Formulated using the finest quality ingredients, including; skin nourishing Aloe Vera and authentic Nori seaweed, it leaves the skin feeling moisturised and nourished, while ensuring super-slippery satisfaction. Boasting a unique formulation process, the seaweed is cooked for the perfect amount of time to ensure optimum viscosity and maximum pleasure. The silky-smooth concoction feels simply sublime against the skin, facilitating the most intense full body to body massage of your life. 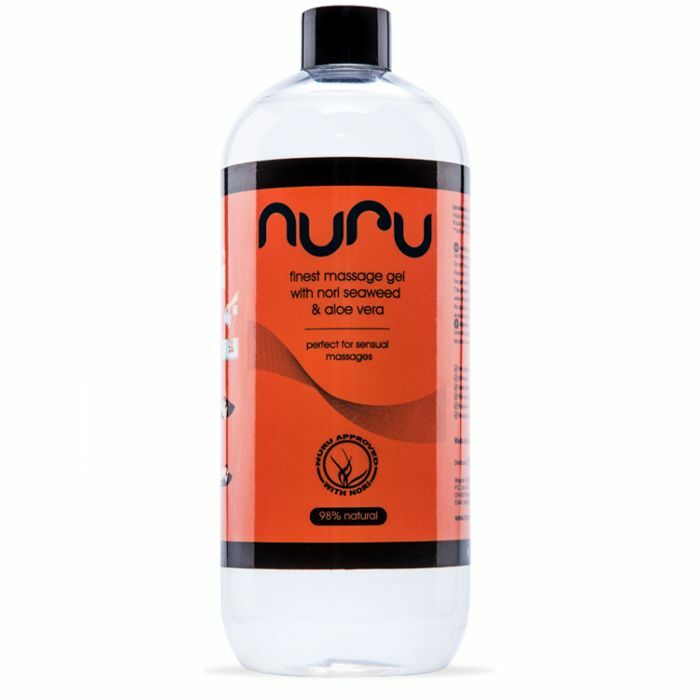 The Nuru Shop Nuru Gel is transparent like water, and behaves in the same way, but slower and with more elegance. Enjoy massaging this sensual gel into every inch of their naked body and allow it to glide over and penetrate their skin. Ensuring long-lasting lubrication of the body, this incredible formula isn’t sticky and won’t dry out, despite its water base. In addition, it is easy to clean and doesn’t stain. Formulated with safety as well as satisfaction in mind, this Nuru Gel is PH neutral, paraben free, odourless, fragrance-free and contains no colourings. Made in Germany to the highest quality specification, you won’t be disappointed!